Customs officials in the European Union have been ordered to register all imports of stainless steel originating in China and Taiwan, drawing further attention to the looming threat of extra tariffs on shipments of the precious and versatile commodity. The unprecedented step has been taken as part of ongoing inquiries into the working practices of cold-rolled metal producers in the aforem­en­tioned countries, which are examining how such products were sold in the EU - allegedly below cost price and with fraudulently-obtained assistance from government aid. Cold-rolled stainless steel is used in a multitude of industries, from vehicle production to kitchen equipment and boilers. Registering these stainless steel imports would allow duties to be imposed retroactively and any trade protection would be designed with the sole intention of curbing EU competition. Below-cost sales of imported stainless steel, also known as ‘dumped’ metal, are recognised as ‘anti-dumping’ duties while those imported against subsidies are referred to as ‘coun­ter­va­iling’ duties. The European Commission, which is the trade authority of the EU in Brussels, stated very recently that “Imports of (stainless steel) should be made subject to registration for the purpose of ensuring that, should the inves­tiga­tions result in findings leading to the imposition of anti-dumping and/or coun­ter­va­iling duties, those duties can, if the necessary conditions are fulfilled, be levied retro­ac­tively”. The current enquiry focuses on whether cold-rolled stainless steel manufacturers in China and Taiwan ‘dumped’ product into Europe. A separate yet equally important investigation is looking into an allegation that Chinese producers had received unlawful subsidies. By September 2015, the commission will decide if anti-dumping duties will be imposed on Chinese and Taiwanese stainless steel shipments, along with anti-subsidy levied on products originating from China. Preliminary levies to counteract coun­ter­va­iling and dumping will be decided by the commission in March 2015 and May 2015 respectively. The market in the EU for stainless steel products is huge and continues to grow. Eurofer, the leading steel industry group in Europe responsible for lodging the complaints leading to the current subsidy and dumping inves­tiga­tions, recently declared that the total stainless steel imports to the EU in 2014 valued at around €1.5bn. 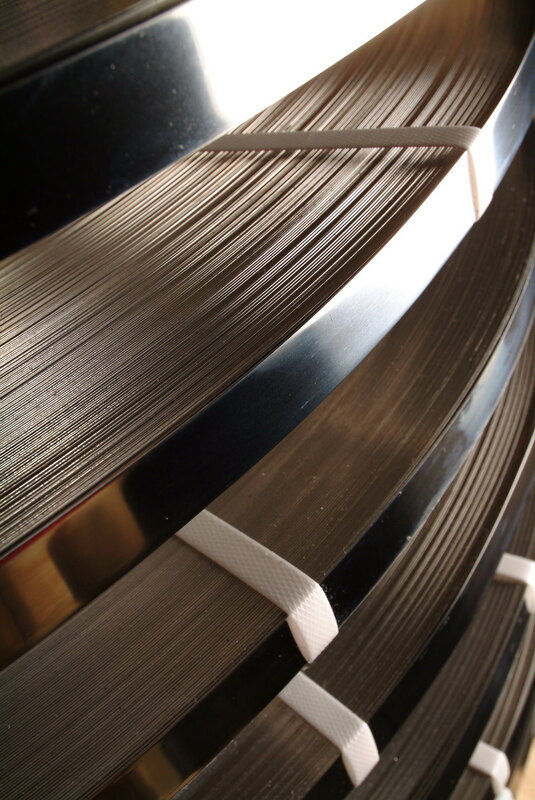 In a turbulent time for stainless steel, you can rest assured that BS Stainless benefit from an extremely talented, bold and forward-thinking complement of employees who are able to work seamlessly together to ensure that your supply of stainless steel products, from banding to stainless steel sheet, is always available to you at the most competitive price and with the most dedicated customer service. If you would like to find out more about our superlative collection of products, including stainless steel blanks, metal jacket insulation, stainless steel nails & screws and quality welding wire, call BS Stainless now on +44 (0) 1772 337555 or email info@bsstainless.co.uk. BS Stainless - your partner for stainless steel.